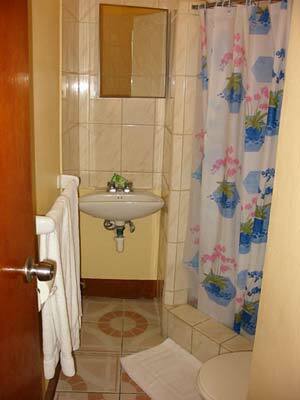 The small hotel was built with all amenities for the modern tourist. 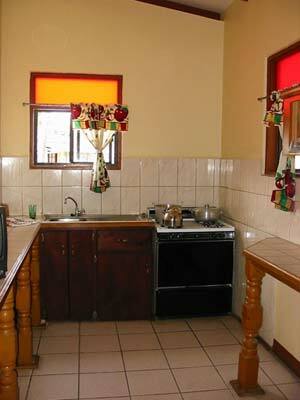 Restaurants, Shopping and Banking is within 2 to 5 minutes walking distance! 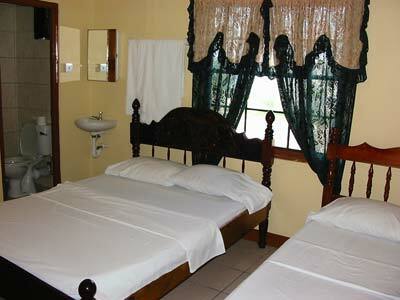 Our comfortable studio-rooms offer a small kitchenette (with a well-sized refrigerator, microwave and toaster), private bath, phone, Cable-TV, Air condition and all rooms have a private patio. 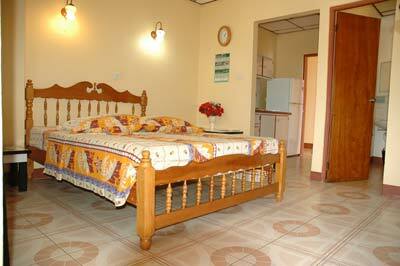 Our rooms in the economy section offer one big shared veranda and kitchen. To complement the self-catering amenities we built our supermarket on the same premises! Enjoy the spectacular Caribbean Sunset on our verandas with ocean-view! Or just cross the road for an invigorating dip in the sparkling blue waters, locally called a “sea-bath”!